The weather will be changeable cloudy, mostly dry on September 12. 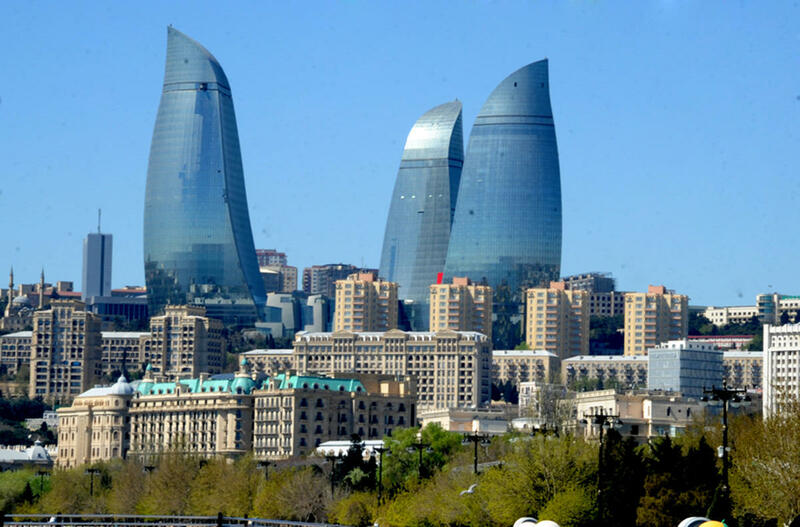 The temperature on the peninsula will be +19-23˚C at night, +26-30˚C in afternoon in Absheron peninsula, +20-22˚C at night, + 28-30˚C in the afternoon in Baku, the Ecology and Natural Resources Ministry reported. Atmospheric pressure will be 765mm; relative humidity will be 60-70% at night, 40-45% in the afternoon. The sea water temperature will be 23-24 degrees on Absheron beaches (Sumgayit, Novkhani, Pirshaghi, Nardaran, Bilgah, Zagulba), the sea water temperature will be 24-25 degrees in southern beaches (Turkan, Hovsan, Sahil, Shikh). Rainy weather is predicted in some northern and western areas in the afternoon. West wind will blow.The temperature will be +17-22˚C at night, +30-35˚C in daytime, +10-15˚C in mountains at night, +19-24˚C. North-western wind will intensify in Baku and Absheron peninsula from September 12 to September 13. On September 12, rainfall is expected in some northern and western regions. Showers are predicted. The western wind will blow and intensify in some places.